The first setting is Split On. Split on makes it so that each item in list of items, such as Tweets or Emails, gets its own flow run. For example, if a trigger checks for tweets every 5 minutes, and there are twenty tweets in that period of time, the flow will run twenty times. This is the default behavior. However, if you want to work with all twenty tweets at once, you can now disable Split On, which means you will have only one run, but with a list of tweets. The second setting is Retry policy. You can configure how many times the flow will retry when there is a transient failure. The default is four times, but you can adjust this or turn off retries entirely. The final setting is Single instance. Use single instance if only want one run to happen at a time. 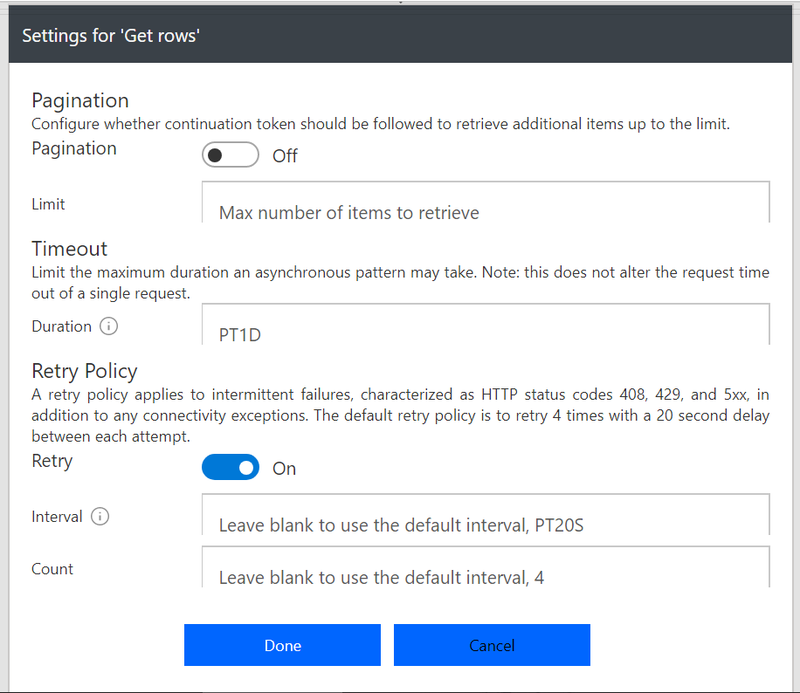 There is one additional setting specific to actions (in addition to Timeout, which we shared previously, and Retry policy, from above): Pagination. Pagination enables you to handle more records than are returned in a single call from a service. For example, some services only return back 50 items at a time. However, in the flow, you may want to get all of the items in the list. By turning on pagination, the flow engine will continue to call the service until it has all of the items – or – hits the limit that you explicitly define in the flow. Azure File Storage – Microsoft Azure Storage provides a massively scalable, durable, and highly available storage for data on the cloud, and serves as the data storage solution for modern applications. 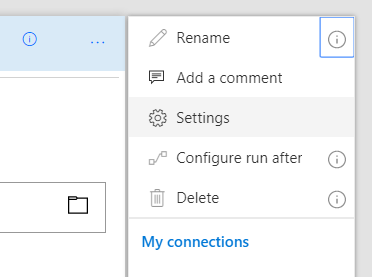 Connect to File Storage to perform various operations such as create, update, get and delete on files in your Azure Storage account. Elastic Forms – Build advanced and interactive forms! Plivo – Plivo enables sending and receiving SMS & voice calls globally for businesses of all sizes. Video Indexer – Easily extract insights from your videos and quickly enrich your applications to enhance discovery and engagement. 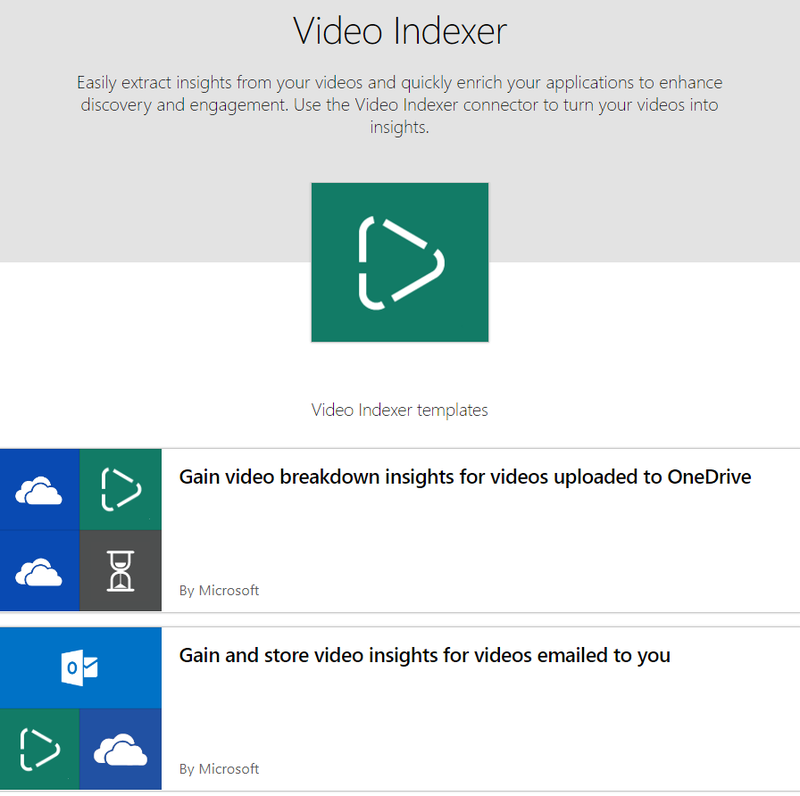 Use the Video Indexer connector to turn your videos into insights. We decide what connectors to build based on your feedback, so please continue suggesting new connector ideas on the Ideas forum.